Great view of both bay and ocean. Space for everyone to have privacy and plenty of baths! Thank you so much for your review. We never get tired of the view here, and we're glad you enjoyed it as well. Please come see us again. The downside was the other amenities of the house. The carpet was not clean, and for being the first part of July the expectation was that it would have been much cleaner. Path were visible, and stains were noticeable. The kitchen utensils were extremely limited, and the knives, forks and spoon were at best, substandard. I don't want to be mean, but these were an incredibly poor quality. The porch furniture was PVC, cracked and a very low quality grade. The outside deck area was lovely except it had a large patch of mold on a 6 foot square section of the porch in a corner. It's the beach, I get that, but a little maintenance is expected. Having my grandson with Cystic Fibrosis(lung disease), we were forced to create a barrier from that area. Probably the more disappointing condition was the bathrooms. Each of the bathtub showers had drains that trickled when emptying. Essentially you stood in dirty water waiting for the tub to drain. We found a plunger and worked on each tub for 15 minutes to free it from sand an hair clogs. Not what I wanted to do, but the alternative was to complain to the real estate company, and wait. So we elected to address it, still not great, but it works. In addition the master bath had mold where the tile meets the shower base. All along the perimeter. These two things are the fault of the maintenance company, not necessarily the owner. The house was very superficially clean when we arrived. The problem stems from it needing a deep clean and attention to details. Drains, carpet, mold, etc. Ryan -- Thank you for this wonderful feedback. Artesia (77th St) is a beautiful, ocean block property with lovely accommodations & amenities. 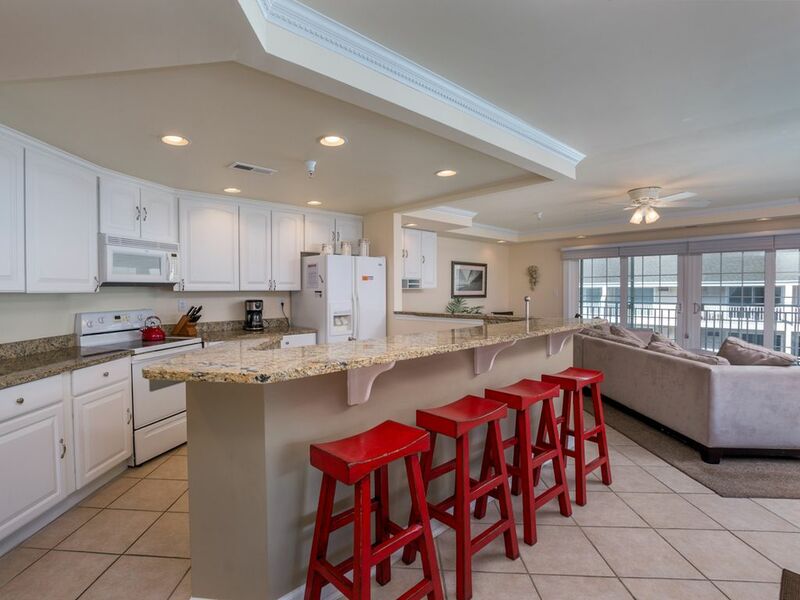 Located just 1 Block from the Ocean, this property offers you the best of both worlds: a quiet, Mid-Town setting with all of Ocean City's fun & excitement right at your fingertips. Many great shops, activities & restaurants are within walking distance, including South Moon Under, BJ's on the Water, The Hobbit & La Hacienda. Best of all, you’ll be just minutes from the popular OCMD Boardwalk, thrilling amusement rides & world-class golf.